A labour rights group marked the launch of Apple’s latest iPhone Friday with a report accusing one of the smartphone giant’s Chinese suppliers of exploiting factory workers. Hong Kong-based Students and Scholars Against Corporate Misbehaviour (SACOM) say Lens Technology, which makes touchscreen glass, used forced overtime, withheld wages and risked workers’ health after a months-long investigation into three of its factories. Company founder Zhou Qunfei, herself a former factory worker, became China’s richest woman after Lens Technology’s debut on the Shenzhen stock exchange in March. 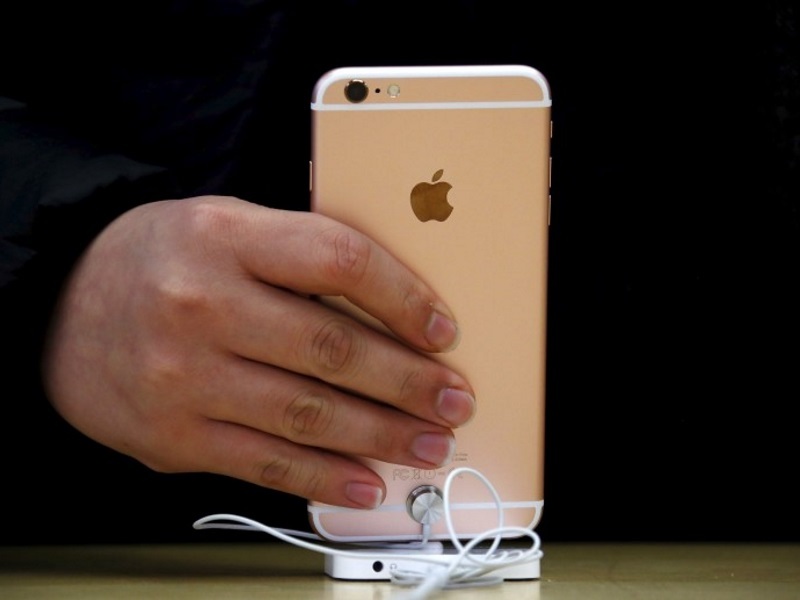 As the iPhone 6s went on sale in markets including Hong Kong, Japan and mainland China on Friday, SACOM called for Apple to “apply immediate measures to rectify exploitations in its supply chain”. “We urge Apple Inc. to fulfil its corporate responsibility… to give workers a workplace with dignity and respect,” it said in a statement. The rights group’s allegations include workers going for a month without a day off, wages being withheld for weeks and that the company failed to pay social security. “Dust, noise, polluted water and chemical substances are common problems on the shop floor,” it added, with management “ignoring if workers were well-protected”. It sent undercover workers into factories, as well as interviewing workers off-site. SACOM was due to deliver its new report on Friday to Apple and Lens Technology, based in the southern Chinese province of Hunan. Around 10 protesters gathered outside one of Apple’s largest stores in Hong Kong Friday morning, holding giant phones with the slogan “Throw Away The Bad Apple”. But the hundreds of customers who had pre-ordered one of the new phones were largely oblivious. “I think bad conditions happen to all brands,” said James Leung, 30, who was waiting to pick up a rose-gold phone for his wife, which he said cost him HK$5,000 (roughly Rs. 42,500). Lens Technology also supplies Samsung and other leading tech firms. It primarily makes touch-sensitive glass covers for mobile phones, computers and cameras. “But Apple is the richest and has the biggest ability to make change and bring the industry forward,” she said. Lens Technology and Apple were not immediately available for comment. Earlier this year a SACOM investigation prompted Japanese clothing giant Uniqlo to promise to improve working conditions at its Chinese suppliers after claims the firms were putting employees at risk. The report accused Uniqlo of buying from two suppliers in China’s southern Guangdong province that made employees work long hours for low pay in unsafe conditions. The iPhone 6s features a new “3D Touch” feature that allows users to differentiate between a light touch and a harder tap, with the phone reacting differently to each. It also includes high-resolution 4K video shooting. In Asia-Pacific, the phone was launched in Australia, China, Hong Kong, Japan, New Zealand and Singapore on Friday.